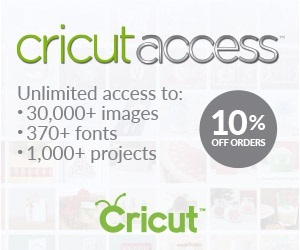 Today is Friday - my last day as Guest Designer for the Everyday Cricut blog. It has been a busy week with so many projects going on (and a few more "secret" ones that you'll find out about soon!). 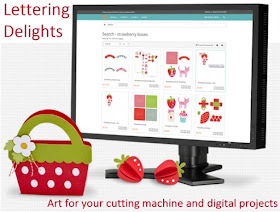 Be sure to visit Everyday Cricut and leave comments on each post this week in order to have a chance to win some of the great giveaways Joy and Melanie are offering this week. 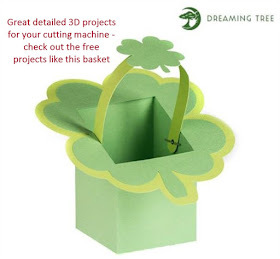 There are Cricut Cartridges (Serenade, Destinations & the Spring mini cartridge bundle - Love Struck, Easter & Mother's Day) and also Claire SEI paper pack and embellishments. 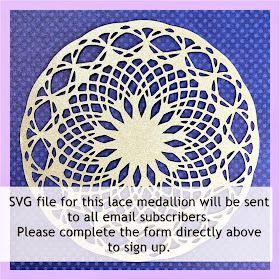 There is also a great prize package from The Original Scrapbox in a special multi-blog giveaway. 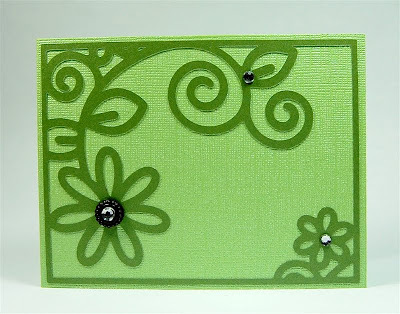 Fridays are for fancy cards on the Everyday Cricut blog. I created these cards with Design Studio and all of the details are in my post on Everyday Cricut - here is a LINK to the post. 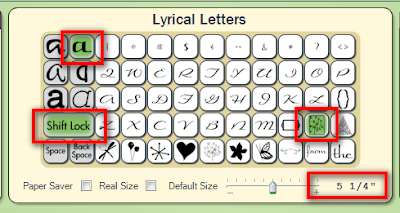 Despite my best efforts to convince every Cricut owner that they need Design Studio, I know that some of you do not use the software. So I made some alternative "Simple Fancy Cards" to share. 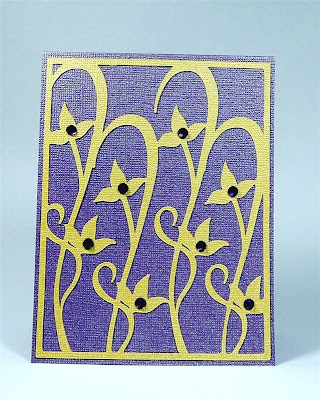 These are ultra simple cards to make - the "fancy" comes from the choice of cardstock and the jewels. All three card toppers are on the Lyrical Letters cartridge - one of the hidden treasures on that cartridge which also has seven different fonts (add it to your list if you don't have it yet!). The images on this key are proportioned to fit an A2 card perfectly. If you cut them at 5 1/4 inches you will get a nice layer for a card with a thin border around the edges. For the first card I used the Core'dinations gemstone cardstock for both the card base and the layer. Here is the plain card - very pretty, just like this. To ramp up the "fancy" factor, I simply added some gems. It is difficult to see in the photo but there are five light purple and three dark purple gems. Here is the location of the second card topper. This is my favorite and it is one that I discovered shortly after I got the cartridge about a year ago. 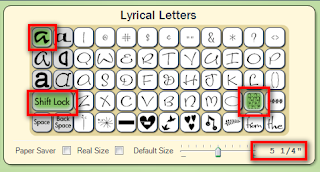 Here is a LINK to my first post about the cartridge when I was "forced" to use it with the machine alone since it had not yet been added to Design Studio. Here is the "plain" version of the card - not so "plain" since I cut the top in white glitter cardstock. 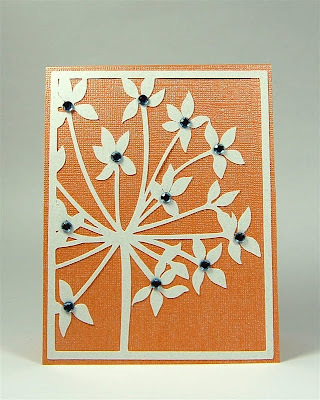 Adding blue gems (the complementary color to orange) makes the card really sparkle! The third topper is located as shown in the screen shot. It does have a bit more room for adding a stamped sentiment right on the card front. I made this a horizontal card - here is the plain version. 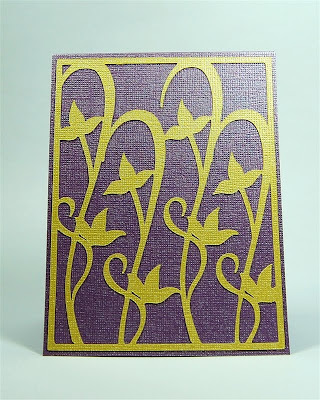 This time I cut the layer in DCWV "shimmer" cardstock. This cardstock is pretty but it does have a white core and there are a couple of tiny cuts in the design which have a tendency to show the white. I solved this by flipping the image. This is the slightly embellished card. I used gems and a vintage brad from Creative Charms for the accents. Here is a LINK to the page with the vintage brads. I removed the legs of the brad and adhered it with a foam square to fill in the empty backing. 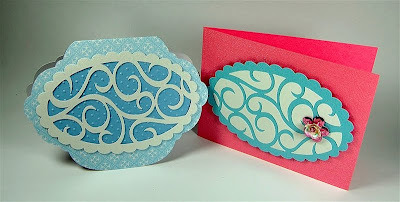 These cards are so quick and simple to make but they still have the "wow" factor - thanks to the lovely cardstock. 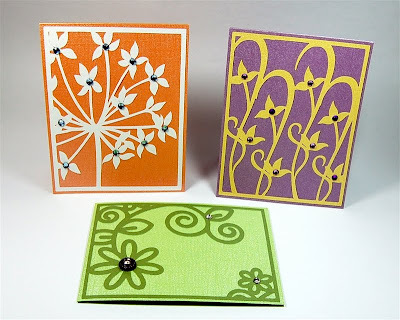 These three cards were made with the large center sections of the 12 x 12 sheets of cardstock that were left over from the Easter Egg cards I posted on Monday. I have to say that the Core'dinations gemstone cardstock is now a favorite and I hope it will be on sale again soon since I have used a fair bit of mine up this week - with very happy results. 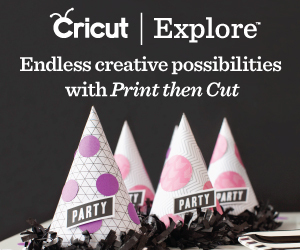 If you were new to my blog this week - thanks so much for visiting and I hope you will stick around even when I am no longer the Guest Designer for Everyday Cricut. I do not have sponsors for regular giveaways on this blog but I occasionally do a blog celebration to mark a milestone. I do love to get comments and I try my best to answer any questions readers send me. 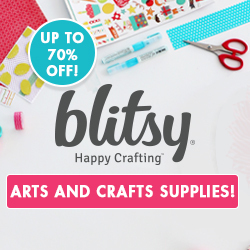 I hope you find it worthwhile to visit and that I can help you be a bit more adventurous when you are crafting with the Cricut! Have a great weekend! Gosh Diane - I hate to see you go!! These are just beautiful cards - NOW I have to get Lyrical Letters 'cause it looks like a terrific cart. See 'ya at your blog! I just realized I'm first today! Thanks for the instructions. I'd forgotten about that pretty wild card cut. Oh the things you teach me! I can't wait to make these. Very fancy indeed, I love the simplicity and the elegance that make the three cards. Thanks so much for sharing, will have to look at this cartridge a little closer. Didnt realize it had so much to offer. Gorgeous again, thank you for a fantastic week of delights. I am so amazed at how simply elegant the cards are and how easily you make it for the rest of us. Thank you and I have become a follower for sure! Thanks for posting your fancy card pattern for us. 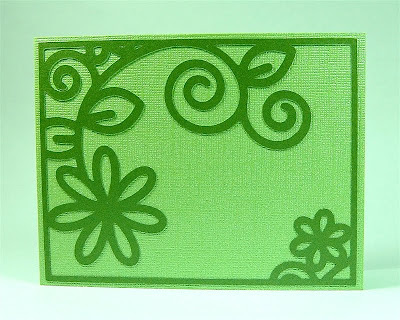 I am so glad that you were a guest on the cricut site, otherwise I never would have found you. I have greatly appreciated all that I have learned from you this week. 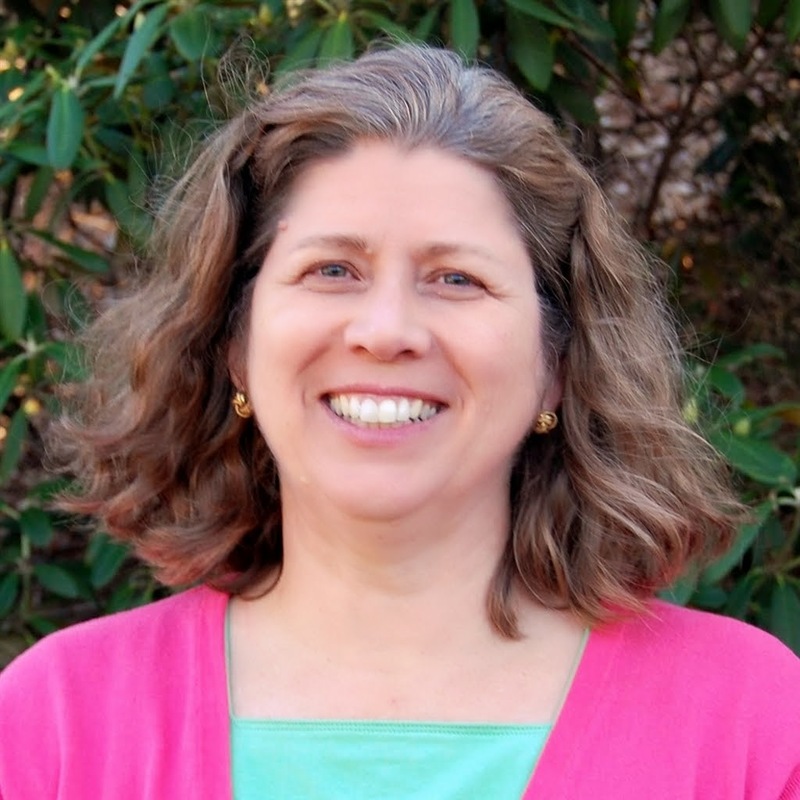 Hope to learn more by following your blog. Diane! Your cards are so gorgeous! I love my lyrical letters cartridge, but I've attempted to cut out the dandelion graphic about a dozen times and my cricut always seems to snag on some of the tough details no matter how much I mess with the pressure, speed, and blade depth. How do you do it? the fancy (but simple) cards I can do :) thank-you!!!!!! Thank you so much for doing the guest designer spot for us this week! You did such an amazing job!!! You are so talented!!! thank you again for all your amazing ideas! I have this cartridge and was also thrilled by how jam packed it was with wonderful ideas! You've made me want to go start using it right after my cup of coffee! Diane, I do plan on sticking around and have signed up for your email. I have had DS for quite a while but never used it to much but you have gotten me interested in it more. I do have a question..when you use glimmer paper what is the easiest way to clean the mat other than taking it to the sink and washing with soap and water? I have used it and would like to use it more but it takes so much time to clean up the mat afterwords. Thanks for sharing and your help. Love the cards. 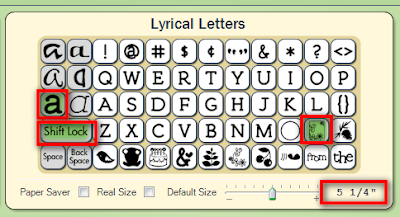 I have Lyrical Letters and use it whenever I need a different font since it has so many to choose from. Thank you for a great Guest week of beautiful cards. Now get some rest!! Thanks again for some beautiful cards and inspiration for using the Cricut. These are nice but I don't hsve this cart. Diane - I love these cards but don't have that cartridge. Didn't think I needed it. Have enjoyed having you as a designer and learning more about the computer program. I have already subscribed to your blog! Thanks for the compliment - these cards owe their beauty to the great designs on the cartridge. I cut these from Design Studio, with my pressure on max, blade depth at 6 and speed at max (but it is actually controlled by the Design Studio program). 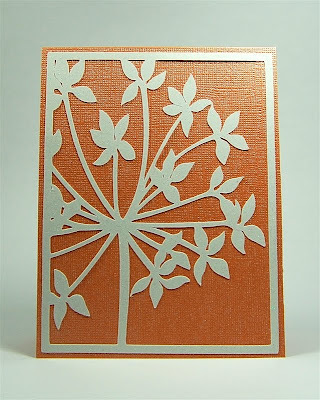 For the heavy DCWV glitter cardstock I use multi-cut 2. I haven't had trouble with these designs on my machine but each Cricut can be a little different in the settings. 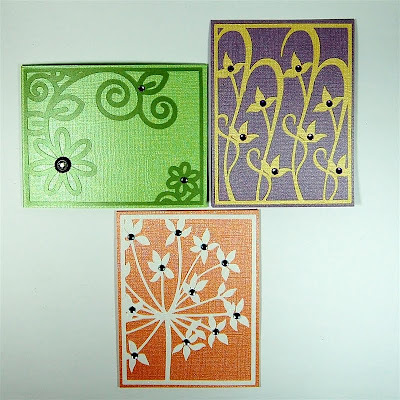 Make sure that you are using sturdy cardstock with a "hard" finish to it. The softer cardstocks or text weight patterned paper could give you trouble on more complex designs.